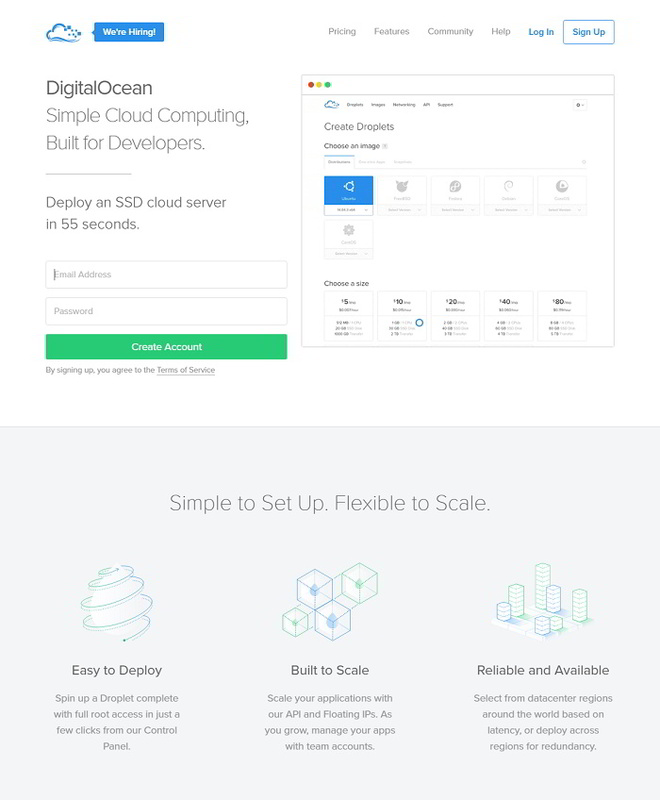 DigitalOcean is a cloud infrastructure provider focused on simplifying web hosting for blogger and developers. It offers simple control panel with SSD only cloud professional hosting starting at $5/mo. The company’s was founded in 2011, headquarter in New York and provisions data centers worldwide. DigitalOcean offers six popular Linux distributions that can be pre-installed while provisioning cloud server and popular application like WordPress with the one-click installer. Here is the DigitalOcean credit of $10 which you can use to create a cloud server – 512MB memory, 20GB SSD disk, 1TB transfer and 1 core processor. This is a limited time offer. DigitalOcean offers scalable SSD only virtual cloud server with priority phone and email support at no additional cost. Please note that free DigitalOcean credit offer is applicable for first time user only and can be used to create a server of equal amount. Also, DigitalOcean may ask you to provide credit card information while signing up the account but it will be charged only when the free credit gets exhausted and you are continued to use the server.